Don’t fall into the trap of thinking there is no way, no how, come hell or high water that the trip you’re planning could be canceled. Don’t fall into the trap of thinking there is no way, no how, come hell or high water that the trip you’re planning could be canceled. This trip was to be a once-in-a-lifetime trip for us. One we’d given a lot of thought to, planned in our minds for a couple of years, and even committed the resources for. 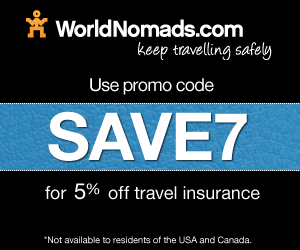 Travel insurance may cover some things, but it doesn’t cover prudence. By the time the trip came within a month of departure, our job situation had become unexpectedly dicey. Our decision to cancel was one of prudence. We knew we’d lose some money, but we couldn’t lose money we hadn’t yet spent. It’s not always illness or injury or some family crisis that creates a need to cancel. If you go into the planning of a trip with this in mind, you won’t be unpleasantly surprised when you pull the plug. For this trip, all of the lodging accommodations took the initial charges/downpayments in Euros. The exchange is easy enough to calculate. BUT on the refund end several credited our credit card in British Pound Sterling. In most cases, what I received back when I finally got the transactions converted back to Euros then U.S. dollars was not what it would have been had they refunded the money in the original currency taken – Euros (exchange rates fluctuate daily). Not only that, as if that’s not enough, but it’s extremely confusing when you begin converting the multiple currencies. Make sure you ASK, if a cancellation becomes necessary, in what currency they’ll make the refund. You can’t change the policy, but you’ll at least be informed. I suggest you use a full size notebook page for every leg of the trip. Organize it any way you want, but make room for this: as you book, find out exactly by what time frame you have to cancel, and should that be necessary, exactly how much you’ll receive back assuming you cancel within that time frame. Not a percentage, not a night’s worth, but the number of dollars/euros/pounds etc. If it’s not to be money, rather vouchers, get all the details of their restrictions for use. Note all this prominently on your planning page, the date, and the person’s name that gave you that information. I booked several legs of the trip through Mr. and Mrs. Smith. Happy with their customer service and responsiveness, the cancellation process irrevocably damaged my opinion of them. I hesitate to say I won’t use them again. I will say instead that I’ll attempt to avoid them in the future, or for that matter, any other booking agent that attempts the same. Here’s why. I was generally aware of the cancellation policy. In other words, I understood that should I have to cancel my refund would be in vouchers that could only be used towards another Smith property and had to be used within a year. Okay. But here’s what I didn’t know. In order to use the vouchers I received upon the cancellation, a FULL prepayment (as in 100%) of the price would have to be made for the NEW trip. So for instance, come June we decide to use the vouchers for a stay at a Smith property in the U.S. I’m within the year restriction, but guess what? Instead of the requisite down payment to hold my reservation, in order to use my voucher, I have to give them the entirety of the cost of the stay. No dice. Not only will I NOT use the vouchers, but I have to cry foul on this. ALL the lessons I learned were due to my own lack of savvy. This however, is a bad business practice, aka “RIP-OFF”. Don’t ever call THEM. If they’re not offering to call you to iron out any snafus, they don’t deserve your business. Don’t ever call THEM. If they’re not offering to call you to iron out any snafus, they don’t deserve your business. My credit card wouldn’t clear with our lodging company in Morocco. I felt guilty about that, as if it was my fault or the thought crossed my mind that maybe they thought I was attempting something I couldn’t afford. Add to that the need to get the particulars nailed down, and you’ve got me picking up the phone and making an international call when they asked me to. It’s embarrassing to admit that. I was very upset at my stupidity when I received the phone bill. And incensed that they asked me to call in the first place. There was nothing wrong with my credit card, they just had problems processing a U.S. card and they admitted mine wasn’t the first. No credit card surcharges, no currency exchange issues, a way to put down a reservation hold and know exactly what the financial impact will be. Think again! A small B&B in Andalusia required a deposit in the amount of $100 Euros and could only accept a wire transfer (with the balance in cash upon our arrival). I had our banker figure the exchange and wire the amount. She even agreed to waive their normal international wire transfer fee of $30 (nice!). We received a confirmation that USD of $149.24 had been debited from our account and $100 Euro sent to the B&B’s bank. Things came unwound from there. An email comes from the proprietor of the B&B that a deposit of $85 Euro had been received. I emailed her back reminding her she’d requested $100 Euro and that I had in hand confirmation $100 Euro had been wired directly to her bank account. I even got our banker into the fray, but nothing could be done. The proprietor’s bank had charged her an incoming wire fee and she had to pass that on to us, because, well, that’s the way business was done in Spain and she felt terrible that she hadn’t told me that upfront, she assumed I knew, and on and on. She blamed the misunderstanding on her bank in the end. Numerous emails were exchanged. But in the end, we only received credit for the $85 Euro. I was helpless to combat this situation. When I calculated what the fees were for the wire transfer of $149 USD, the total was $51 ($30 potential fee from our bank and $21 fee from the receiving bank – $15 Euro converted). That’s just a small fee of 34% of the amount wired!! Avoid international wire transfers unless you get all the particulars and fees assessed in writing ahead of time. Plan to spend triple the amount you would allocate for a similar amount of time stateside. The collision damage waivers are extremely pricey. But we felt we needed the best level of coverage offered. Even if that could have been reduced with a lower level of coverage, it was difficult deciphering what was covered and what wasn’t. Since we were to be in the South of Spain for several days, we wanted to rent a car. With plans to take the AVE from Madrid to Cordoba, we wanted to pick up the car at the Cordoba train station. Even with the help of a travel agent, the first attempt at this would have required we load our luggage into a taxi for a short ride to the rental car pick-up. Not so bad on the trip in, but on the trip leaving, that element of unknown time threw up road blocks where scheduling was concerned. Even though the car rental agency showed up as being at the Cordoba train station, when we looked closely at the address, it was off-site. At the time we cancelled the trip, a rental car had still not been locked down. Forget the fine print. Ask more questions. As in a LOT of questions. Stupid questions. Get names and emails confirming what you were told if you can. If someone wants your business, they shouldn’t mind. And prepare for this: no matter how many questions you ask, how many t’s you cross and i’s dotted, there will be a few unpleasant surprises if you have to cancel. On a bright note, I loved TripIt (www.tripit.com) for organizing the trip. In one glance it allows you to see the itinerary for every day, addresses, phone numbers, flight or rail numbers, costs, confirmation numbers, level of accommodation you booked, etc. I can’t think of a detail it won’t handle. Subscribe to TravelBlogs Posted by Tammie Dooley from Solo Road Trip on February 18th, 2010 in Articles. Great tips – shame that you only get to discover these things AFTER things go wrong. Hope your next trip is a success. I sympathize with you haveing to cance and know you must have been so disappointed. I know that half the fun of a trip like this is in the planning (for some anyway) and that the expectation is to save money doing it on your own. However, with all the snafus involved, you might want to consider using a travel agent. Planning would be a TON smoother and the price might end up being comparable. Also, if packaged through a covered supplier you would be able to purchase travel insurance – some packages offer coverage for job related emergencies, as well, for only a tiny amt more. I would definitely look into it. Even if you decide not to go with a travel agent, I would stick with more well known, reputable companies to package as many components together as possible. Hope there’s another trip in your future soon! Tammie – thx indeed for sharing your experiences and sorry to hear they were so negative. Tip number 1 ‘life throws curveballs’ actually did make me think a bit, as I tend to be one of those people who are always confident that the trip is going to take place, no matter what. So sorry to hear the news Hope everything goes fine in your next trip. These sure are hard-earned tips, better luck next time my friend. Great tips- I will keep these in mind next time I think about cancelling a trip! Tammie, I appreciate your patience to explain all the pains you have gone through. Your tips are ideal for travel planning. Eager to read your joyful travel experience in your next article. Thanks for the great ideas you have shared here. We will be travelling abroad in a few months so I’m sure these tips will be a big help for us. So glad to know a shared experience is one that can help others. Take this information and keep exploring! Thanks for sharing the information with us. I am planning a trip overseas in August and these are tips that I will put to use. Hopefully your travel experiences are better than this in the future. Just as a side thought…this is great information, but the statement that “travel insurance does not cover prudence” isn’t 100 percent correct. Most travel insurance wouldn’t cover cancelling for the reasons that you did, but some, like cancel for any reason policies, pretty much allow you to cancel with impunity for any old thing (including job instabilities, personal turmoil, etc). Just something that may be worth looking into, for those who don’t know that it’s out there…. Brianne, could you give me a website for a policy such as this? All of us would be interested in checking this out. Thank you! I think this is a great eye opener for people like me who travel a lot. Would definitely keep these things in mind. I hope you this won’t ever happen to you again. Good luck on your next trip!